 Palm Court offers a great location in our Phoenix, Arizona apartments. Our community is near Loop 101 and I-17, providing access to the surrounding cities of Scottsdale and Glendale. Check out CAPS Sports Grill when you are wanting some of the best bar food for a great price. We are in close proximity to American Express and Honeywell, some of the largest businesses in the valley. Enjoy the outdoors nearby at Deer Valley Park. To make this great location home, apply online or call us to schedule a tour today.